Remember Madison? 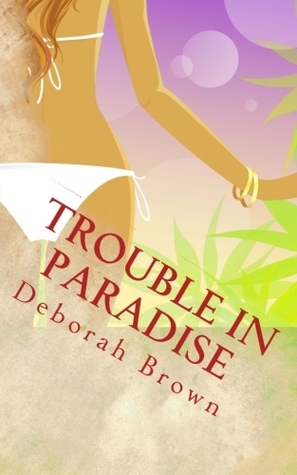 What she had to go through… inheriting her aunt’s cottages was peanuts compared to what awaits her in TROUBLE IN PARADISE, the latest addition to the Paradise Series. What is big news in small town Tarpon Cove? An accidental drowning or maybe even a ruthless murder? When a dead fisherman rolls up on the shore of Tarpon Cove, Madison cannot resist but to jump into her new role as Private Investigator, with only one goal in mind: to solve this intriguing mystery of the dead guy. But things do not go as Madison wants as she discovers that people in small towns are usually tight lipped, and that is certainly the case for the residents of Tarpon Cove. Although a hot bed for gossip, in a town where everyone knows everyone’s business, what is safer than keeping your mouth shut? With Madison’s tenant assessment skills not shaping up, her cottages are still full of riffraff, and it has become Tarpon Cove’s hotbed for illegal affairs. Madison teams up with her best friend and Glock-carrying Fabiana… Together they take on cases no other investigators would ever dare to touch in Tarpon Cove or anywhere else. Sometimes a girl needs a bubble bath and a fun book. So draw your bath and dive into Madison’s adventures!